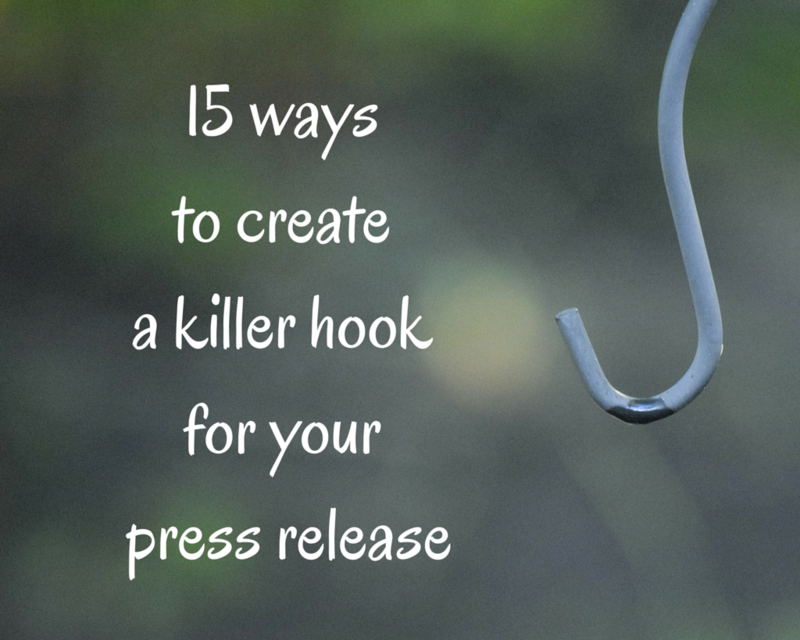 The key to successful press release copywriting lies in creating a killer news hook. A newsworthy hook is like bait. It attracts your readers’ attention and makes them want to find out more about your news story. Editors receive hundreds of press releases everyday. To stand out from the crowd and have a greater chance of securing media coverage, your press release needs to have a great angle. To find your hook, put yourself in the shoes of your audience and ask: “Why should I care?” What is so unique or special about your story that would entice someone to read your press release? Before you start copywriting, here are 15 ideas to help you create an angle for your news release. Year-round holidays and seasonal events offer you the opportunity to tie your story to such occasions. Take your pick from Chinese New Year, International Women’s Day, Earth Day, Mother’s Day, the school holidays, National Day, the F1 races, Christmas, the back-to-school season and many others. Perhaps a new and unique children’s experiential learning exhibit can be timed to launch during the school holidays? Or how about having an exclusive and limited edition of a Christmas fashion capsule collection? Can your news leverage on current events or social issues? If your news hook is related to what’s happening right now or key social issues, it’s likely to be of greater value to readers. This will make your press release more relevant and important. In 2015, many corporations made the most of the wave of excitement surrounding the SG50, Singapore’s jubilee anniversary celebrations, to secure media coverage. They created SG50-themed events, promotions and marketing campaigns, capitalizing on the feel-good factor and the essence of what SG50 stood for – a celebration of heritage and a shared commitment towards a brighter future – to generate excitement for their brands. Have you spotted any emerging trends lately? Look at trending topics on social media and in mainstream news. If they’re related to your business, you can use these changes in consumer behavior patterns to your advantage. Perhaps there’s a trend of more people cycling to work to escape traffic congestion. If you are launching a new model of a foldable bike that’s easy to carry around, there’s potential for a feature story on your product. In today’s fast-paced news environment, editors and reporters are driven by deadlines and current news. If you move speedily enough, you can put out a press release as a reaction or response to recent news. This makes your press release very relevant and timely. For instance, the annual government budget offers the business community an opportunity to generate some media mileage. Trade associations or business chambers can provide quotes and offer their opinions on how the budget proposals will impact the business sector or certain industries. Scan local, national or international news. Is there potential to localize news that is national or international? Perhaps a certain industry in the global market is seeing a wave of layoffs but the local market seems to be doing well. Tapping on this, you could put out a press release that you are ramping up production and hiring more people instead, given the brighter prospects in the local market. The human-interest angle is one that is based on emotional appeal. It aims to connect with the reader and generate empathy. Focus on a unique or interesting personality or a group of persons. Invoke their personal triumphs or mistakes, tragedies or successes. Do you have a story about overcoming adversity despite the odds? If so, use it. The media loves statistics because facts and figures can add more depth to a story. If you’ve conducted a survey or have written a white paper, you can send this to the press together with a press release. Are you a credit card company and has seen an increase in payments for online shopping? Or perhaps you’re a human resource consultancy that has seen an increase or decrease in wages for a particular industry? For journalists, these statistics will be useful information for a wider industry piece. Are you announcing something that is the biggest, newest or first-ever? Or do you have something that is record setting, trailblazing, pioneering or revolutionary? Apple has a history of creating revolutionary products that have changed the tech scene entirely. If you’re in the same vein, then you’ve got yourself a big story. Celebrities, well-known sports figure, political figures and other prominent members of the community are a draw for the media because readers like to read about them. This can give them further incentive to run your story. Consider inviting a celebrity to participate in the marathon you are organizing to raise funds for charity. Or perhaps you’ve got a well-known football player in town to for the press conference of the launch of a new line of innovative running shoes. That would get media attention. Alternatively, the opinion of prominent spokespersons or individuals can sometimes also be considered as news themselves. You can make a statement by offering a contrary view or opposing position to a trending or hot topic. Offering a non-conformist opinion or a twist to the usual story can trigger discussion and help journalists write a more objective piece covering both sides of the story. This works particularly well for “underdog” situations. If your company is marking a significant milestone or anniversary, don’t be afraid to trumpet this significant moment. For example, if a shopping mall is celebrating its 25th anniversary, how have the façade, retail mix and shopper profile changed over the years? What events are being organized to celebrate the anniversary? Does your product or service evoke a certain emotion? How does it impact your customers’ lives? Will it inspire or excite them? Find that emotional trigger to draw people in and you’ve got your hook. Perhaps your product brings back happy memories of childhood or is a symbol of everlasting love. Another potential hook is if you’ve got a story that will impact the audience of the particular media you are targeting. Readers of a business newspaper will be interested to know about the state of the economy. If you’re a bank that has got an interesting forecast or view about the outlook of the economy and how this will impact businesses, that will be your angle. Special events are often one of the easiest ways to generate media coverage. These events could include a: major concert, circus tour, huge rally, conference, grand reopening or fundraiser. Frame the event by capturing its uniqueness. A major science conference could be unveiling a major scientific breakthrough or a rock star could be turning up on your country’s shores for the first time and playing to a sell-out crowd. If there is anything unusual, weird, over-the-top or even innovative about your story or its subject, that’s a window of opportunity to grab media attention. Highlight the impact on the audience. Here’s one last tip. Find out who your target audience is. If you’re hoping that an editor will pick up your story, find out all you can about the publication or news medium and its target audience. How will your story appeal to its readers or viewers? Will it help them draw in more readers or get more clicks? Everybody loves a good story. But it takes time and effort to write a great press release. Hook the reader by giving them value. Focus an angle that makes they care. Give them something to spark discussion, inform them or entertain them.